Discover a better way to develop public speakers. Let’s brainstorm your next event. Contact us today. 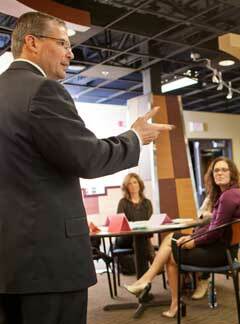 We train healthcare and business professionals to become dynamic, persuasive communicators to audiences of 1 to 1000. Whether we’re coaching an individual or training a small group, each participant walks away with reproducible presentation skills and immediate results. Step outside the norm with your presentation skills training. EDC offers customized training programs that are interactive, fun, and effective. Using your content, our workshops focus on practical skills that reinforce the data and key messages you want to convey. Your physician presenters appreciate easily learned techniques while practicing in small groups with their peers. 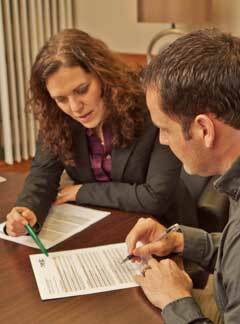 Regardless of prior speaking experience, participants leave with concrete improvement. We all have habits. Being aware of those habits can be the biggest hurdle to becoming an effective communicator. Whether you use filler words, pace when you’re nervous, or use a soft tone, your subconscious actions dictate how your audience perceives you. That’s why personal coaching is such an effective way to become a confident and engaging communicator. Our individualized approach addresses everything from your poise to your PowerPoint deck. Are you ready for your next presentation to be your best yet? Training and presentation tips delivered directly to your inbox. Create your growth plan with the Complete Communicator Worksheet. 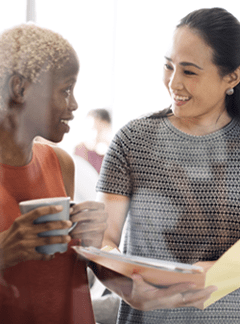 Gain easy-to-implement tips for active listening and reading nonverbal cues. 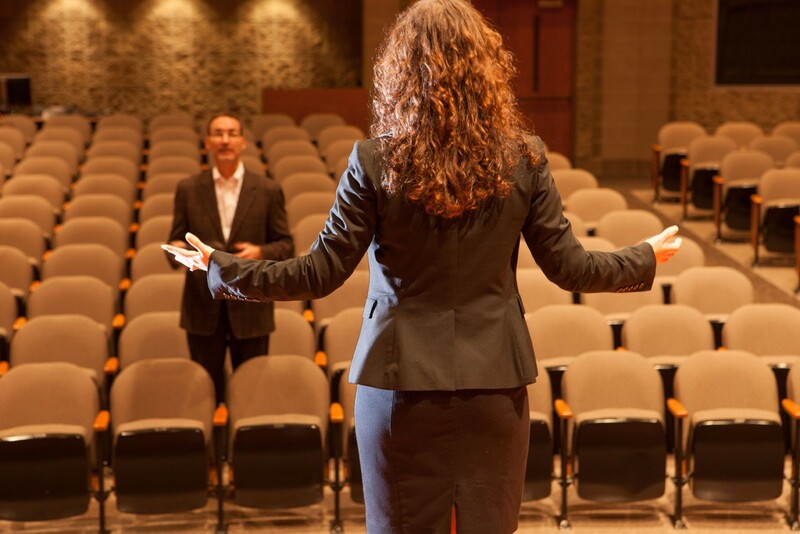 Explore practical tips about public speaking and effective presentations. “The interactive setting and immediate feedback was key. Develop your growth plan with this self-evaluation checklist.